The all-in-one employee engagement toolset every HR pro wants in their manager's hands. 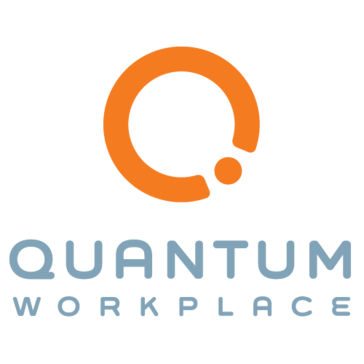 Quantum Workplace offers employee surveys, goals, recognition, feedback, performance conversations, and real-time analytics all on one easy to use platform. Quantum Workplace provides employee engagement and peformance management software that makes managers the central drivers of workplace culture. Serving more than 8,700 organizations, Quantum Workplace’s technology gives team leaders direct access to employee feedback and personalized real-time insights, so they can make work better every day. The software includes surveys, goals, recognition, feedback, one-on-one, and alert features — providing a powerful solution for team engagement and continuous improvement. As the survey partner for America’s Best Places to Work, Quantum Workplace has helped honor and create top workplaces for more than 15 years. For more information, visit quantumworkplace.com. Your culture is your culture. So, we’ve designed an all-in-one software that fits naturally into your process. It’s as intuitive as any social media platform but robust enough to empower managers to make work better. Our software is more than a toolset. It includes expert advice and in-tool coaching. Limitless resources help you track what’s working, innovate, and stay motivated. Your managers get the answers they need when they need them — it’s like having an engagement assistant working for you 24/7/365. The way we work has changed, and your managers need tools that keep up with your evolving culture. Our software gives them the ability to hear and prioritize employee feedback in real time, transforming the way managers lead their teams. It’s the software every dedicated team leader wishes they had.